1. Select the Canvas course in which you would like to schedule your office hours. 2. Click Zoom in the course navigation menu on the left. 5. 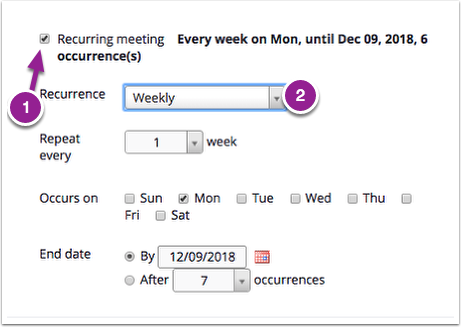 Click Recurring meeting to schedule Office Hours for the same time each week and select the end date and other details for your recurring office hours. 6. 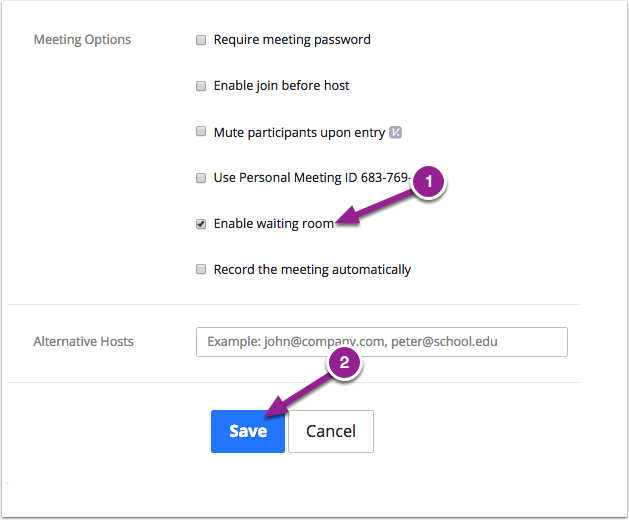 In Meeting Options, click Enable waiting rooms and then click Save. 7. 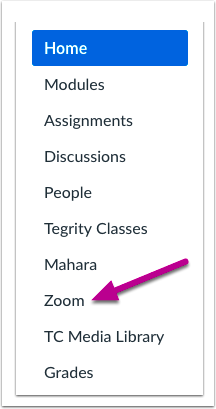 To see the list of your Zoom office hours, click on Zoom on the course navigation on the left. 8. In the Upcoming Meetings tab, you and your students will see the link to your office hours for each week.